ENSP is the only public art school in the world dedicated to the image and to contemporary photography in particular. Initial artistic, scientific and technical training of excellence for future professional photographers. A postgraduate programme unique in France: a PhD in photography in conjunction with Aix-Marseille University (AMU). Promotion of student work (exhibitions, publications, residencies). Amateur trainings: photography classes for everyone. An international masterclass programme with several partner institutions. 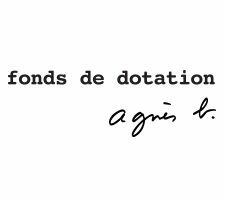 ENSP has created an endowment fund, led by agnès b. to address the challenges of the 21st century. Development of teaching residencies for internationally renowned artists; Development of the Observatoire des Pratiques de Création de l’Image Numérique; Creation of a Fablab devoted to the image. Granting scholarships to students most likely to bene t, to ensure educational equity for all. Posting portfolios on the school website. Designed by Marc Barani, the new school will be inaugurated in July 2019. It will be part of the landscape of cultural and urban renewal in Arles, initiated by the redevelopment of the Parc des Ateliers. and exhibition spaces, innovative high-performance equipment. Support young creators, the development of contemporary photography and innovation in new images. Ensure the excellence of an institution of higher education that is fully integrated into Arles’ ambitious cultural agenda. Provide guidance for the professional photographers of tomorrow. Participate in an artistic and professional network in the eld of photography and the image. Benefit, through the ENSP’s projects, from access to its new premises, resources, and state-of-the-art equipment. – Résidences à l’Alliance Française de Bogotá, Colombie. – Éditions du catalogue des diplômés. – Bourse doctorale de 5000€. You can bene t from an income tax reduction of up to 66% of the amount of your contribution, within a limit of 20% of your taxable income. You can bene t from a tax reduction of 60% of the amount of your contribution within a limit of 0.5% of turnover.